Linn Records, part of Scottish company Linn Products, was born in the 1980s out of a need for adequate test LPs to demonstrate the companys Sondek LP12 turntable. Its first releases were Carol Kidds debut disc and A Walk Across the Rooftops by The Blue Nile. Since that time Linns catalog has grown a lot, concentrating on classical, jazz, and Celtic genres while remaining open to new possibilities. Always a leader in the industry, Linn was one of the first companies to create its own website to offer high-quality downloads of titles in its catalog. Today I sample Linn recordings both on discs and as downloads. Whatever the format, I can always be sure that the recording will be of exceptional quality, both artistically and from an engineering viewpoint. Here are four of the most recent ones Ive heard. Jazz singer Claire Martin is one of Linns primary recording artists, and her relationship with the label goes back to when she released her first album, The Waiting Game, in 1992. Though many emerging stars jump ship and move to a bigger label as soon as possible, Martin and Linn have stuck close together, to the benefit of both the singer and the record company. Martin just released her 13th album for Linn, A Modern Art (****), and its sure to please listener and critic alike. On this 14-track set, Martin goes beyond the usual Great American Songbook experience. Only two tried-and-true chestnuts, "Everything Ive Got Belongs to You," and "Everybody Today Is Turning On," are included, and both are given new and fresh interpretations. For the dozen remaining tracks on the disc, Martin has turned to lesser known but worthwhile songwriters. Martin pours her heart into the late Esbjörn Svenssons "Love Is Real," which shows her emotional side. But she also brings wit and sauciness to songs like "Things I Miss the Most" (Donald Fagan and Walter Becker) and "Edge Ways" (Claire Martin and Laurence Cottle), as well as the smart, savvy title song, also by Martin and Cottle. In every song you can hear the singers joy of creation and delight in performance. Backing Martin are some of Britains best session musicians, and the engineers have provided clean and clear sound. The disc is a hybrid multichannel SACD (Linn AKD 340), which means it has a CD layer for normal playback. (All of Linns discs are single entries, so theres no confusion or expense of having two different versions; if you want CD or SACD, you can buy the same disc.) If you play the SACD multichannel tracks, the sound expands a bit. But as usual, Linn is very sparing in the use of the surrounds. My only complaint is that this time around, the stage seems a little shallow. If you go to Linns download site, the album, along with most Linn releases, is also available as a high-quality download in several different formats and price ranges. Though Linns jazz catalog has relied largely on vocalists, youll also find some choice instrumental groups. 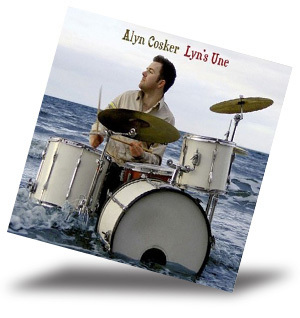 On one of the latest, Lyns Une (****), young Scottish drummer Alyn Cosker fronts a seven-man ensemble, playing all original tunes except for the final track, "When Autumn Comes," co-written with singer Maureen McMullan. McMullen also arranged an introduction to track five, "Smiling Down," on which her lovely voice is multi-tracked to produce some downright ethereal harmonies. Throughout the set, Cosker displays huge amounts of energy, a vivid imagination, and a reluctance to settle into any one style. His pieces encompass a wide range of styles, including late-night bar jazz ("Oh Dear"), smoky ballads ("Dont Forget Me"), laidback swing ("Lyns Une"), funk ("Twitter and Bisted), lazy-day ballads ("Unannounced"), and breezy soul strut ("Straight Through Boogaloo"). Cosker and his excellent sidemen nail each style, making it sound natural and easy, like the style is all theirs for the moment. The ensemble is Coskers trio (Cosker on drums, David Dunsmuir on guitar, and Ross Hamilton on bass) joined by guests Jason Rebello (piano), Paul Towndrow (soprano and alto saxophone), Tommy Smith (tenor saxophone), Ryan Quigley (trumpet), and Maureen McMullan (vocals). Linn engineers have given the group a nicely focused, open-sounding recording that perfectly balances the players against one another. 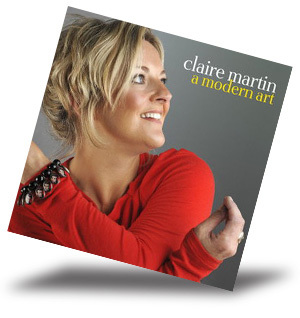 Like the new Claire Martin disc, the recording is available as a hybrid multichannel SACD (Linn AKD 338) and in various advanced-resolution downloads. Over the past two or three years, Linn has been trying to expand the genres of its recordings and has added several notable rock albums from other labels to its download site (Luna by The Aliens is my favorite). The label has also made an effort to record more diverse music on its own. 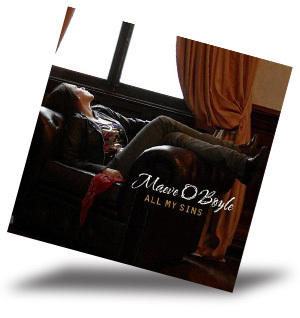 The latest effort is All My Sins (****), an album by 21-year-old Scottish songwriter Maeve OBoyle. The young artist sings naturally in a voice that can caress or incite, and the songs about family, lost love, and Glasgow are polished diamonds that belie her age. Her music, influenced by the records her father played for her when she was young, is pop rock laced with country and folk. Her band is tight, though its members are seldom asked to show off. They simply provide solid backing for OBoyles penetrating vocals while making a few subtle instrumental comments along the way. Linns recording sounds a bit thick at first, but after listening for a while you can hear its transparency and realize that the engineers are merely capturing the true sound of the band. The bass is solid and very well focused, and the soundstage is moderately deep, though its not so wide. Picky comments aside, its an auspicious debut that will have its listeners anticipating whatever comes next. As with the two discs above, this one is a hybrid multichannel SACD (Linn 318) and is also available in advanced-resolution download formats. Linn has been recording classical music for some time now and has several house artists. The label is also good at discovering new and worthy soloists and ensembles. 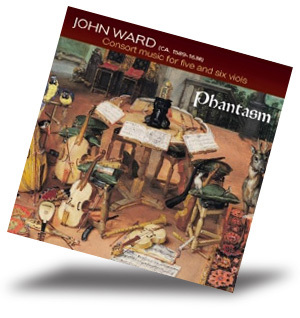 One of the latter is Phantasm, an award-winning consort of viols. The viol was a precursor to the violin, and consorts were immensely popular back in the 16th and early 17th centuries. The instrument was available in treble, tenor, and bass models, so a quartet of players could cover a large range, just like the more modern string quartet. Phantasms players are Laurence Dreyfus and Wendy Gillespie (treble viol), Jonathan Manson (tenor viol), and Markku Luoajan-Mikkola (bass viol). Frequent guests of the consort are Emilia Benjamin (tenor viol) and Mikko Perkola (bass viol). On their most recent recording for Linn, they play the entire consort music compositions of John Ward (15711638). John Ward: Consort Music for Five and Six Viols (****) is available as a hybrid SACD (Linn CXD 339) or as a download (FLAC Studio Master 24/192 or 24/96, FLAC or WMA CD quality, or MP3). Even if you prefer to buy a disc, it pays to go to the download site, where you can sample all of the albums tracks before purchasing it. I found this recording to have rich and resonant sound with plenty of liveliness and detail. The surround use is minimal; it merely enhances the front channels by providing an aural definition of the recording space. The overall sound is intimate, and it effectively transports the listener back to another age. These are all recent recordings from the ever growing Linn catalog. If youre new to the label, there are some "must hear" programs from the past. These include Ian Shaws Lifejacket and Drawn to All Things, Claire Martins Too Darn Hot and Secret Love, Claire Martin and Richard Rodney Bennett teaming up on When Lights Are Low, James Gilchrist and The Fitzwilliam Quartet in Vaughan Williamss On Wenlock Edge, and Toby Spence and the Scottish Ensemble in song cycles by Benjamin Britten, including the Serenade with Martin Owen on horn, all of which are wonderfully performed and impeccably engineered. You will probably find, as I have, that youll enjoy these recordings over and over again.